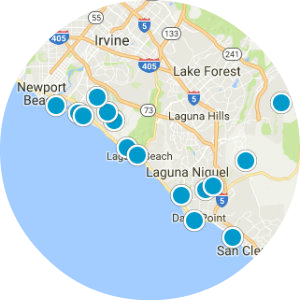 Located directly to the west of Mission Viejo, homes in Laguna Hills are a great real estate opportunity for people looking for beautiful property in a fantastic location. 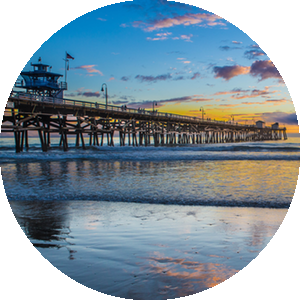 Just moments from parks, popular destinations and Laguna Beach, this city is perfect for people interested in living a fun, well-rounded lifestyle. Laguna Hills is primarily a residential community, with its own schools, shopping malls and professional services. Learn more about life in this wonderful community below. Laguna Hills real estate is as beautiful as it is unique, with a range of custom-designed homes and estates with best-in-class amenities. The luxury market in Laguna Hills offers some of the most diverse home opportunities in the region, with styles ranging from Victorian, Tudor and Colonial homes to Spanish-inspired and modern architecture. The starter-home market follows a similar architectural style, borrowing a number of design features that are usually only found in luxury designs. This makes it easy to live like royalty without the lofty price-tag. Laguna Hills homes offer some of the best quality real estate in California. There are 13 beautiful parks within Laguna Hills, offering an array of features including tennis and basketball courts, sport fields, playscapes, walking paths and picnic tables. These parks are a great place to unite families or take a relaxing stroll. The facilities at Laguna Hills Sports Complex are open to the public with reservations or registered programs, while the Community Center serves as a central location for all sorts of groups and activities. City residents can take advantage of dozens of great recreational programs, as well as the Laguna Hills Technology Branch Library. Costeau Park is an important fossil site, with dozens of species of Ice Age animals found in the streams. Two high school students found the first set of bones in 1965, and over 40 animals have been found since, including mastodons, mammoths, saber-tooth cats, and dire wolves. Fossil Reef is another great fossil site, with preserved imprints of 48 marine fossil vertebrates, including the strange hippopotamus-like Desmostylus. The original sites are open to the public and some of the fossils can be viewed at the Laguna Hills Community Center. These are just some of the great things to do when you own Laguna Hills real estate. This full-service city offers endless opportunities for fun, sun and entertainment. We invite you to visit today to see how great life can be in Laguna Hills.